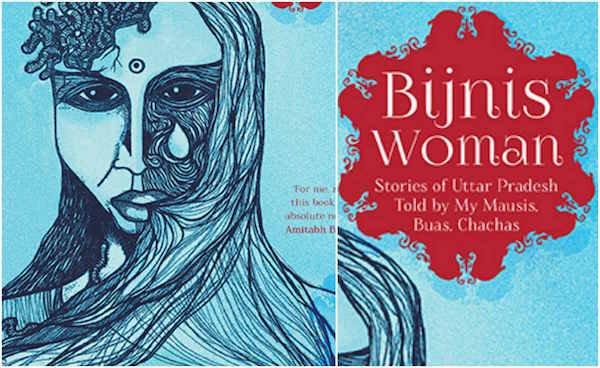 Tanuja Chandra, A known name in Bollywood as a director, is debuting in book writing with Bijnis Woman. Tanuja, sibling of Vikram Chandra and Anupama Chopra, has been in directorship role since 1998. She has directed movies like Dushman, Sur, Sangharsh, Zindagi Rocks. Backed by Penguin India Publishing, Bijnis Woman is a collection of short stories covering people of every stratum of UP society. The book brings to the fore the hurdles and humour of the past, while initiating conversation on matters of the present. They never discovered where Ranvir was through the night; he would step to the front door the next morning,hardly aware where he had been. He slept right through the desperate screams which went on for an hour as his familywatched, shamefaced. Thakur Rajpal couldn’t help but feelpity for this girl in her crazed, unhinged state, shouting so violently he thought she would faint. The blame would be his to shoulder if something were to happen to her; would she be at his gates still when the sun was up, wasn’t it wrong, shutting his door on a helpless girl, alone in the night? He had never faced such embarrassment. Her inconsolable, unstoppable screams unnerved him, and his own son’s doltish, stupor-filled, insensible state angered him. The family was now gathered inside the second-floor library, watching the scene at the gates below, exchanging troubled looks with pursed lips as a cluster of villagers gathered around Amrita. Now, with their backs to the gates, they gawked at Jwala, open-mouthed. This small, frail, nervous girl, to hear whom one had to strain one’s ears even in an intimate conversation, stood there bellowing ultimatums, her body shaking with white-hot anger. ‘Don’t you dare move, any of you! Let her shout till she drops dead,’ she growled. ‘He will never hear her, never!’ And then, they heard commotion at the gate. Everyone turned back towards it. What they saw made their blood go cold. Amrita had broken through and would soon be riding towards the front door. Sounds like an interesting book… stories of UP makes me wonder if this is the literary version of "Gangs of Wasseypur"! !